Here is confirmation of a Holly/Poppy 2-pack. The next item looks to be a Keepsakes Box? Then the Hat-tastic dolls, Maddie, Briar, Cerise, Cedar, and Apple. Then Thronecoming with Apple, Blondie, Raven, and Cupid, with Briar and the accessory. Are you excited?! 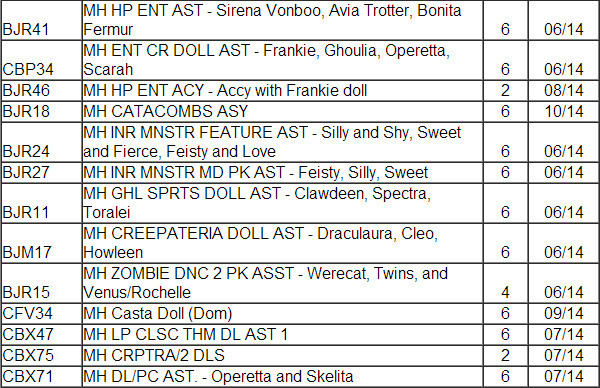 And then the MH dolls, which I’m less excited about. We’ve seen most of these at Toy Fair.